Count on exceptional value and the results enterprises need to stay ahead—HP PageWide Technology is engineered to produce professional-quality color documents for up to 40% lower color cost per page than color lasers. 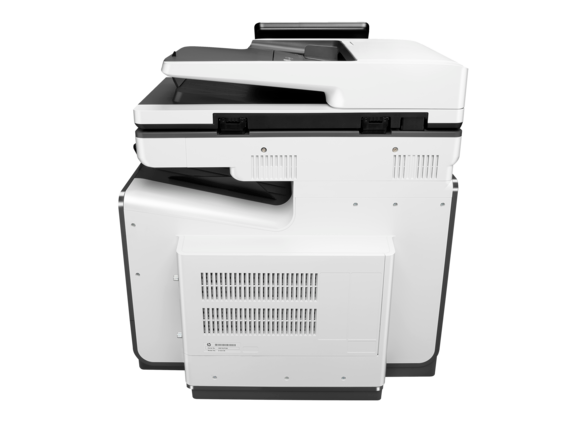 Help elevate workgroup productivity with best-in-class print speeds, blazing-fast first-page printing, and single-pass two-sided scanning. 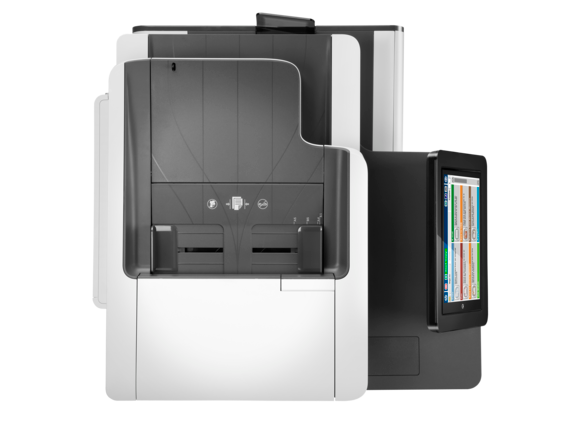 Built-in Gigabit Ethernet and wireless printing options help busy teams stay connected. 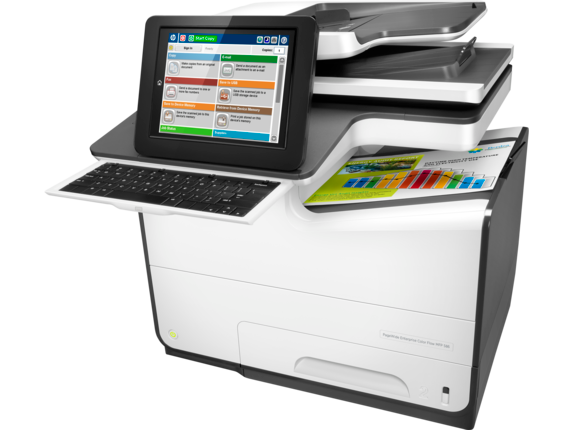 Trust that this HP PageWide Enterprise MFP is secure from power-up to power-down. Count on strong protection for devices, data, and documents with deepest embedded printer security from HP, and centrally manage your entire fleet with ease. 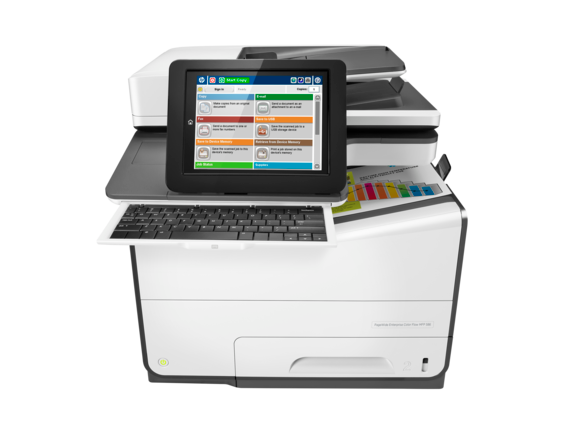 Comparison of HP PageWide Pro and Enterprise class devices with the majority of in-class color laser MFPs < $3,000 USD, and color laser printers < $1,249 USD as of November 2016; market share as reported by IDC as of Q2 2016. Cost per page (CPP) reported by Gap Intelligence Pricing & Promotions report October 2016, comparisons for all supplies are based on published specifications of the manufacturers’ highest-capacity cartridges and page yield. Average yield based on ISO/IEC 24711 and continuous printing. Actual yield varies based on content of printed pages and other factors. For details see http://www.hp.com/go/learnaboutsupplies. 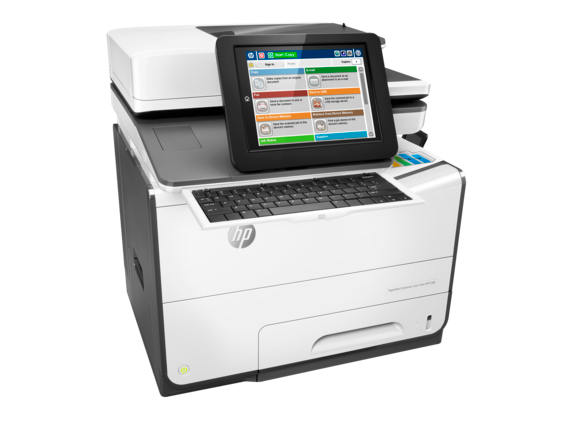 Lowest cost per color page claim applies to devices that are not sold under contract: Comparison of HP PageWide A4 Pro and Enterprise class devices with the majority of in-class color ink/laser MFPs ($400-$2,999), and color ink/laser single function printers ($300-$999) with >1% market share and print speeds >20ppm as of February 2017; market share as reported by IDC as of Q4 2016. Cost per page (CPP) reported by gap intelligence Pricing & Promotions Report January/February 2017, comparisons for devices/supplies not sold under contract are based on published specifications of the manufacturers’ highest-capacity cartridges, inclusive of long life consumables and page yield. Average HP yield based on ISO/IEC 24711 and continuous printing in default mode. Actual yield varies based on content of printed pages and other factors. For more information, see hp.com/go/learnaboutsupplies and http://www.hp.com/go/pagewideclaims. Embedded OCR is intended for occasional use. For high-volume OCR usage, consider optional server-based HP Digital Sending Software. For HP PageWide enterprise-class devices default power consumption during sleep device settings may vary by region. Settings may be changed by the user. Actual power consumption varies based on power settings selected, pages printed, and other factors. Not all "Compatible Operating Systems" are supported with INBOX software; Full solution software available only for Windows 7 and newer; Legacy Windows Operating Systems (XP, Vista, and equivalent servers) get print and Scan drivers only; Windows RT OS for Tablets (32- & 64-bit) uses a simplified HP print driver built into the RT OS; UNIX modelscripts are available on HP.com (Modelscripts are printer drivers for UNIX operating systems); Linux systems use in-OS HPLIP software; HP Software for Mac is no longer included on the CD, but can be downloaded from hp.com; The Mac printer drivers are installed for Mac operating systems.